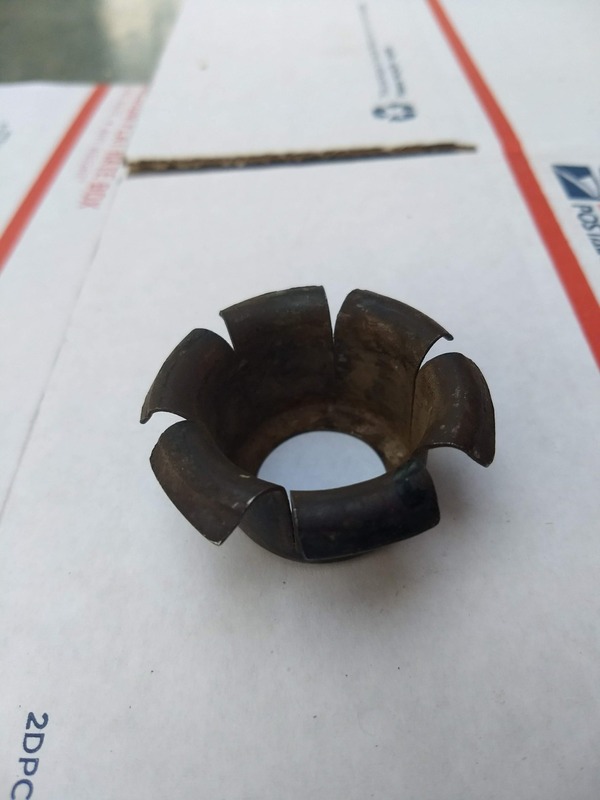 Model T Ford Forum: What is and where does this part go? What is and where does this part go? Model T Ford Forum: Forum 2018: What is and where does this part go? I've been trying to get a 26 engine put back together that was partially dissembled by my brother back in 1971. 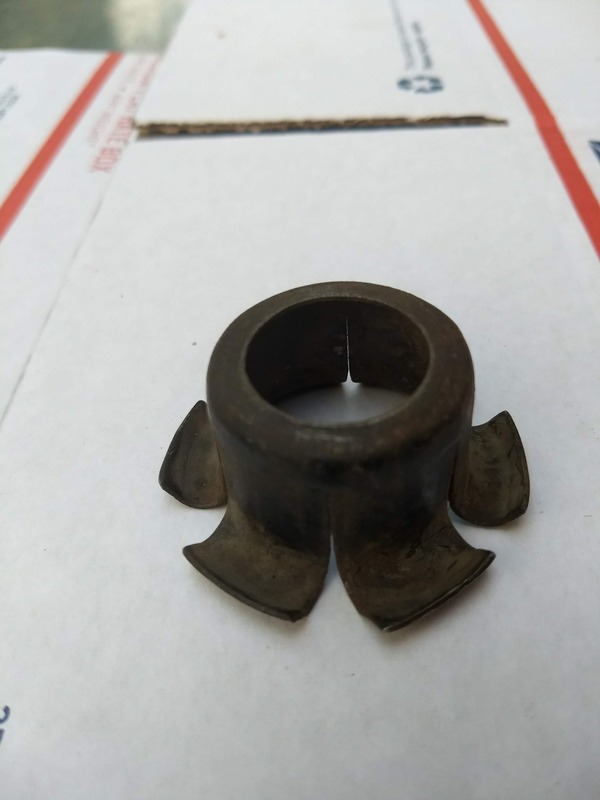 Radiator support thimble used from 1920-27 two required per car. See #3976 in the parts book. 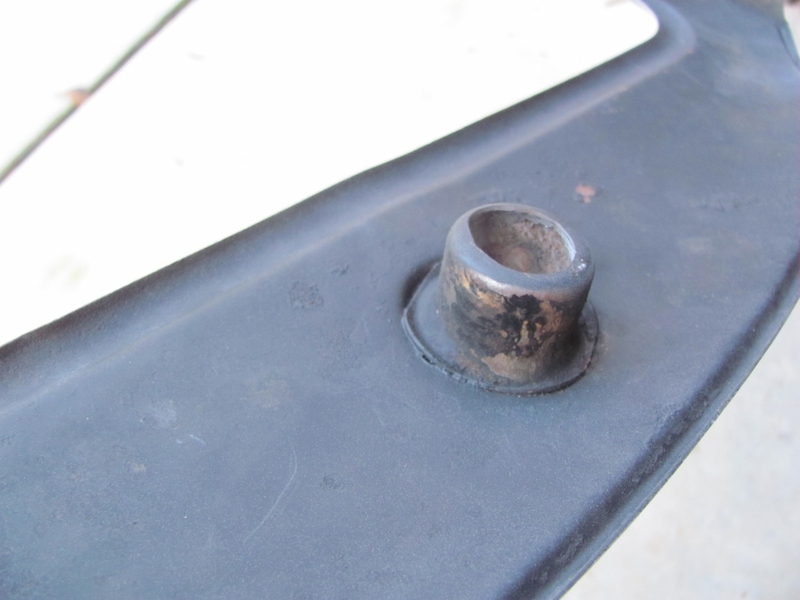 I believe it's a part of the lower radiator apron - it prevents the hand crank spring from going through the apron. How big is the hole in the center? Would a hand crank slide thru it? My first thought was like "Original Smiths", a radiator mount thimble. But if the part is considerably larger (which it probably is) then for sure, Steve Tomaso has got it right. That's how I read it ! I have several lower aprons with that thimble intact. Steve may be correct, but there is something going on. That part is normally welded onto the apron. The 'legs' are usually flat rather than cupped like these, and being welded on, the hole is invariably worn oval by the crank handle being off centre. This part being un-attached may account for lack of wear, but it would not have served its purpose as a stop for the crank return spring. This is the spring thimble on the back of the radiator apron. I guess I stand corrected! I haven't seen that style. I don't think any of the repro aprons have that part attached, and it's important to keep it from vibrating. Terry said it was removed from the starting crank - that isn't a 3/8" hole. "The removed hand crank had this part on the shaft of the removed assembly"
You're absolutely right ! I overlooked that completely!